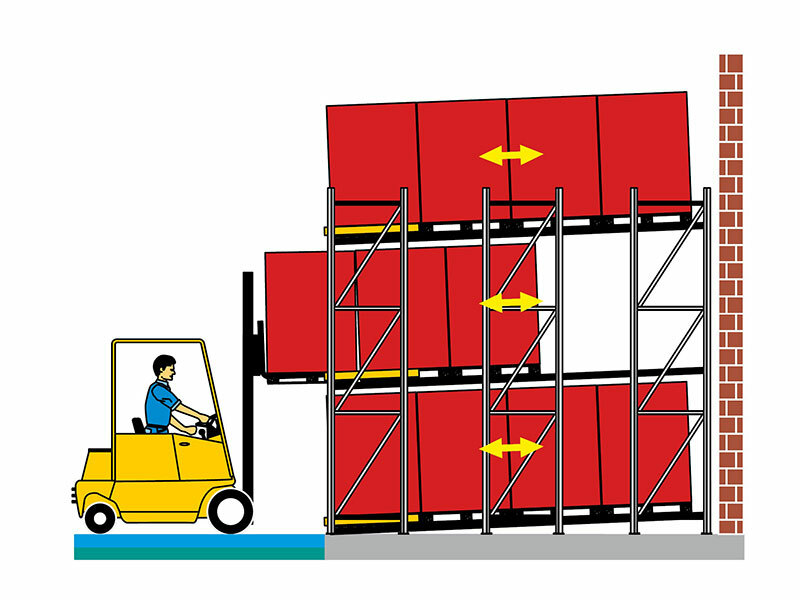 In this system, the forklift truck pushes the pallets into the lane against the incline. 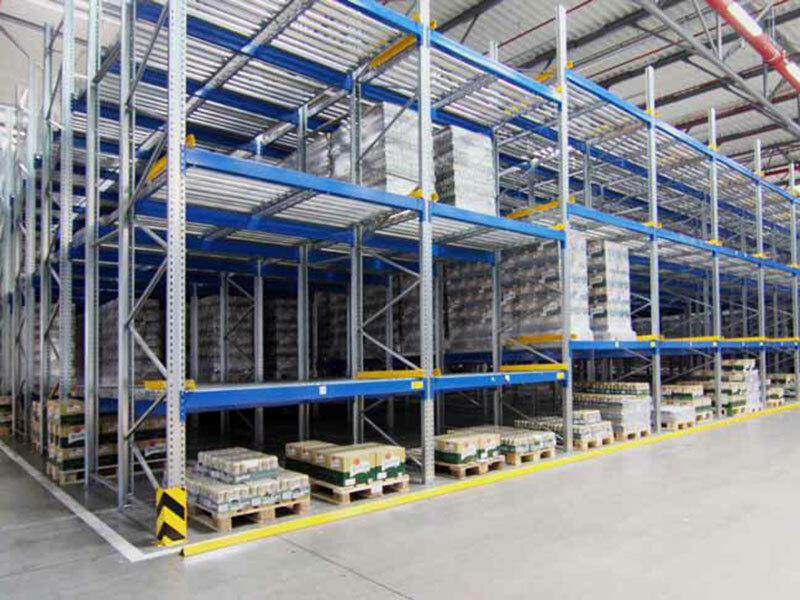 Retrieval is based on the LIFO principle (last in - first out). 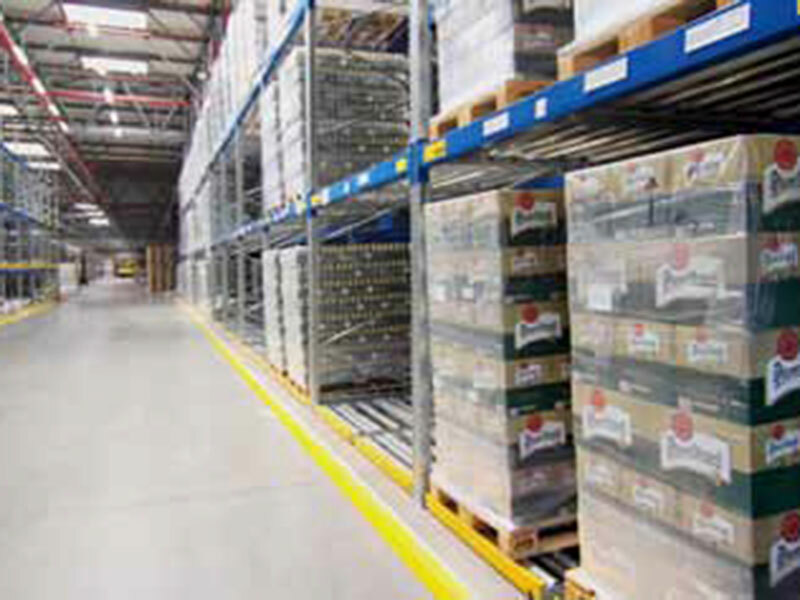 While taking out the first pallet in the picking aisle, the subsequent pallets in the lane travel smoothly to the front at the same speed the first pallet is taken out. 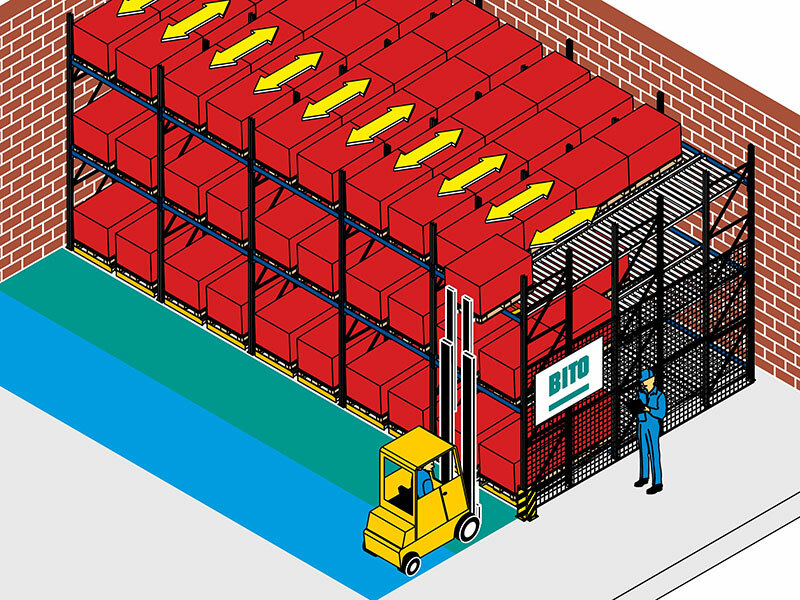 As this system operates without braking devices and load separators, goods can be stored at low cost. - particularly appropriate for a broad range of products.